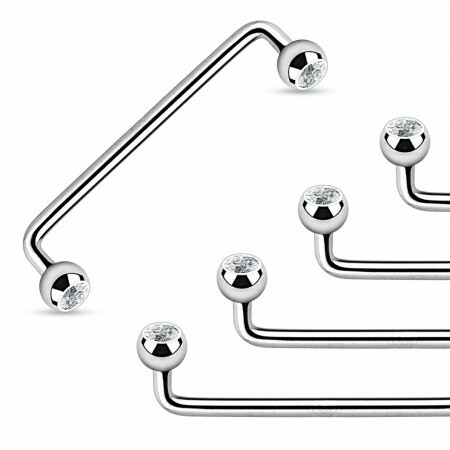 This surface barbell has two firmly placed crystals. Because of this they have a soft glimmer. A surface barbell is worn underneath the skin. 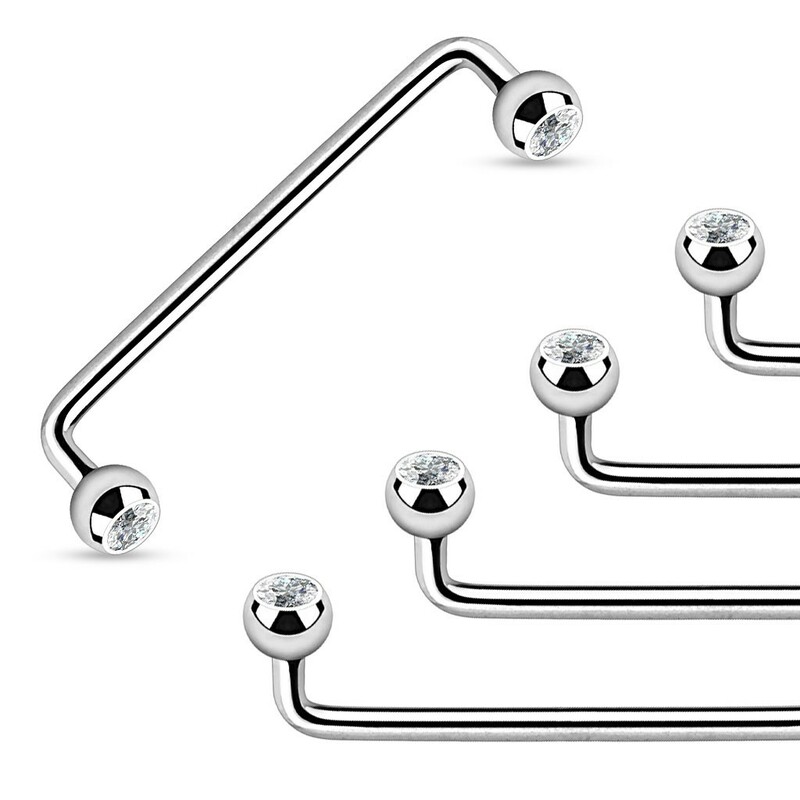 An example of a surface barbell is the christina piercing. Looking for a surface barbell with a stronger shine?